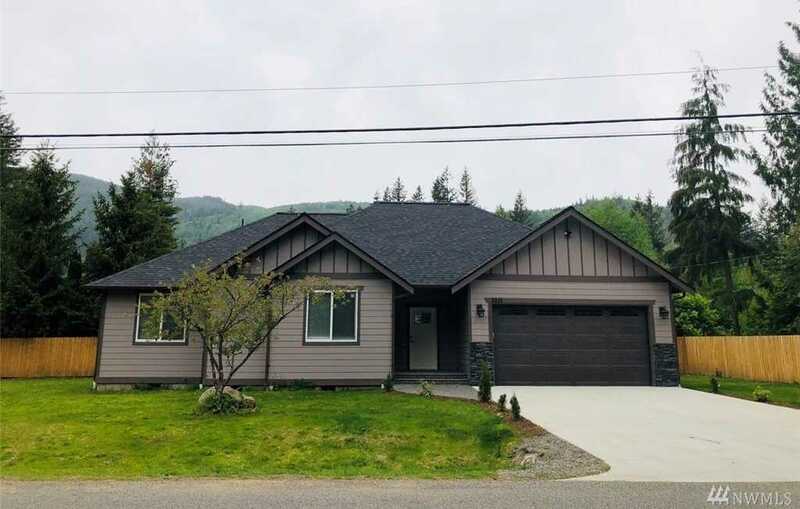 MLS# 1403308 - 8415 Golden Valley, Maple Falls, WA 98266 - Mark Frye — RE/MAX Whatcom County Inc.
Gorgeous 3 bedroom 2 bath home. Modern gray kitchen cabinets with lighting underneath and beautiful tile backsplash. Large bathrooms with both a tub and a separate shower in the master bathroom as well as a double vanity. Spacious master bedroom boasts tray ceilings and a walk in closet. Beautiful lighting throughout. Vaulted ceiling in one of the bedrooms. Ready to move in! Directions: Mt. Baker Hwy to circle, Kendall Rd exit, Right on Cimarron, first right on Chestnut. Home on the corner of Chestnut and Golden Valley. Please, send me more information on this property: MLS# 1403308 – $289,000 – 8415 Golden Valley, Maple Falls, WA 98266. I would like to schedule a private showing for this property: MLS# 1403308 – $289,000 – 8415 Golden Valley, Maple Falls, WA 98266.